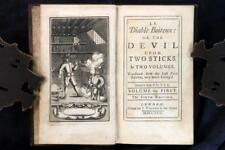 Ned Ward The Tower of Babel 1718 First Edition Satire Wraps Benjamin Hoadly Res. Ned Ward The Modern Courtier/ the Statesman’s Advice to his Son 1741 Satire Res. William Paley Horae Paulinae 1794 2nd Ed Biblical History Natural Theology Res. Gresham Press World Myth and Legend Ca. 1916 A R. Hope Moncrieff et all F.P. William Alcott The Young Woman’s Guide 1843 8th Ed Boston Education Plates Res. An Abridgement of Anti-Papal Laws 1666 First Edition Great Fire Of London F.P. 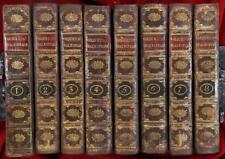 Henry Machard Traité Sur le Vins 1874 De Courcy Voyage Agricol 2 Vols in 1 Res. John Erskine of Carnock An Institute of the Law of Scotland 1828 Edinburgh Res. This page was last updated: 18-Apr 18:32. Number of bids and bid amounts may be slightly out of date. See each listing for international shipping options and costs.